Welcome to the Happiest Place on Earth – Next Generation PR Regional Conference! What can make our Regional Conference even happier? Our Disneyland day on April 8! For those of you interested in joining us, I have created an FAQ on logistics for the day. As a Disney fanatic, I’ll be your tour guide Barbie for the day! Our recommendation is purchasing the one day peak ticket option to save money. Most our day will be spent in Disneyland, so it’s the best deal! Do I have to stay with you all day? You are free to explore the park however you would like! We would love to meet at park opening at 8 a.m. for a group picture in front of the train station before we split off. Our Executive Board will also be eating breakfast at Plaza Inn at 10:30 a.m., so if you would like to join us please RSVP with me by April 1! Wait less than 10 minutes to board the ride! Note: you can only have one Fastpass at a time. You can make a new one every two hours. The best attractions to get a Fastpass for are Space Mountain, Matterhorn Bobsleds, and Indiana Jones Adventure. These book out fast, so get one first thing in the morning! Purchasing a Maxpass in addition to your park ticket gives you the ability to reserve Fastpass times on your phone using the Disneyland App. It also gives you unlimited free photo downloads for the whole day! Warning: you must reserve times like a normal Fastpass! Some book out fast, so do it first thing when you enter the park. There are plenty of options for affordable meals at Disneyland! You can download the Disneyland App for a full map of all the restaurants with menus. What rides should I go on? A smile – you’re at the happiest place on earth! Alcohol – if you’d like to grab a drink, I recommend Trader Sam’s in the Disneyland Hotel! I am very excited to be spending the weekend with you! 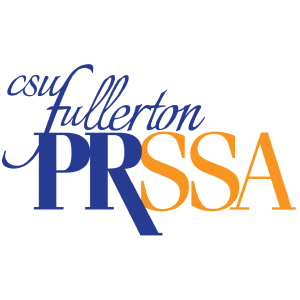 If you have any additional questions, please email me at eabramer@csu.fullerton.edu. Have a magical day!